Another year nearly done. Time for another “Things I Learned” blog post, right? Unlike previous attempts, though, there’s a twist this year. All of these topics have pushed me to do more digging, ask more questions. Three of these four topics below are ones I’ll be continuing with into the new year. The first thing you’ll notice is that these aren’t the sort of typical end-of-year subjects. Particularly one of them. I hope you’ll find that they’re all worth reading and thinking about. Wine is a beverage made and consumed worldwide, it has social, political, regulatory, health, transport, trade, and environmental considerations. I’ve been covering the environmental and sustainability end over the past couple of years and will continue doing it. Here’s what I’m thinking about on some of the others. This pretty much used to be the thinking about wine and health benefits. But recent studies have pointed to different conclusions. I’ll start off with the wonkiest one first. The big news this year was that aggregate studies – compiling data and results from other studies – indicated that the recommended “safe” level of alcohol consumption is lower than previously calculated. And the type of alcohol didn’t matter, despite indications that wine had some potential health benefits. 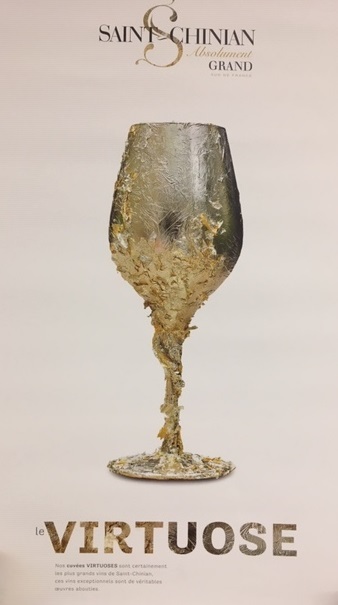 Most upsetting to wine drinkers was the conclusion that a beverage deemed to be at least somewhat good for you in moderation before was now associated with a shorter lifespan than for non-drinkers. I spent many years doing risk assessments and examining epidemiological data in my previous working life, so I try to look at the methodology and conclusions with a critical eye. There are huge potential public health benefits to examining data from tens or hundreds of thousands of people. And obviously I think these studies should be done, despite some of the problems I’ve discussed before. But there are plenty of caveats with aggregating risks and benefits that don’t filter down to general reporting, and I plan on exploring these further next year. The main issue for me is that a very large deal has been made about what are really very small percentage changes in health outcomes with moderate drinking. When studies are combined to encompass enormous numbers of people, even a small percentage change in the probability of a health outcome means that the number of people potentially affected will be large. But it’s still a small percentage change. I’ll be looking to put it in a more understandable context. Also, one of the big studies included impacts such as traffic accidents, violence, and fires related to alcohol consumption. These are different than health effects, so how do you include them in the big picture? And how do you rank the impact of consuming less alcohol with the other societal levers to reduce incidence of these types of events? ­On to something less weighty, although important (at least to me!) It looks like 2019 may become the year when retailers will gain the right to ship to customers in most other states, the way wineries can. I’ve read the articles and some of the filings, and it’s promising. I imagine a lot of customers are excited at the prospect of a wide-open marketplace. But the fact is that even if shipping is allowed it won’t be the wide-open marketplace we all hope for. States will still control the process and will make it difficult enough for out-of-state retailers to ship in, providing disincentives just short of prohibiting it. Wineries have already experienced this, and I have as well in getting permits for states that currently allow me to ship. There’s a cost/benefit analysis for each state: How difficult is it to apply for the permit, and how many state departments do you have to be registered with? How much does the application cost? Are there fees beyond the application, like posting a bond to make sure you remit sales tax to the recipients’ state? How detailed is the state reporting, and how often do you have to file? And then there are the logistics of shipping to consider, getting approved shipping cartons and preparing bottles for shipment. Wine bottles are heavy, so shipping is expensive and a potential deterrent to sales if that cost is passed on to customers. Should a small retailer try free shipping to help generate sales even though it will be a huge expense? Or do you charge for shipping and instead concentrate marketing on more likely customers? Stay tuned for more on these and other thoughts on wine retailing across state lines. My blogger friend Jon Thorsen writes the popular Reverse Wine Snob blog. I first met Jon at the Wine Bloggers Conference in 2011. When I contacted him to ask if he’d be coming the following year, he told me that he couldn’t because he and his wife Brenda were adopting a son. In the years since, we’ve learned that their son, Zeke, was born with Fetal Alcohol Spectrum Disorder. While they knew this when they adopted him, the true severity only became apparent after they brought him home. Jon has written about the problems Zeke has because of his exposure to alcohol during his birth mother’s pregnancy. But his readers may not have read Brenda’s blog, which has more information about the day-to-day issues they’ve experienced with their son’s care over the past six years. I had to think hard about including this in a year-end round-up. It’s a difficult subject, and it doesn’t encourage people to buy or drink wine (which is at least theoretically the function of this blog). Nothing here is meant to replace the advice of anyone’s doctor. But I hope you’ll read the posts and get an idea of the human side of the government warning against drinking while pregnant on all bottles of alcohol. 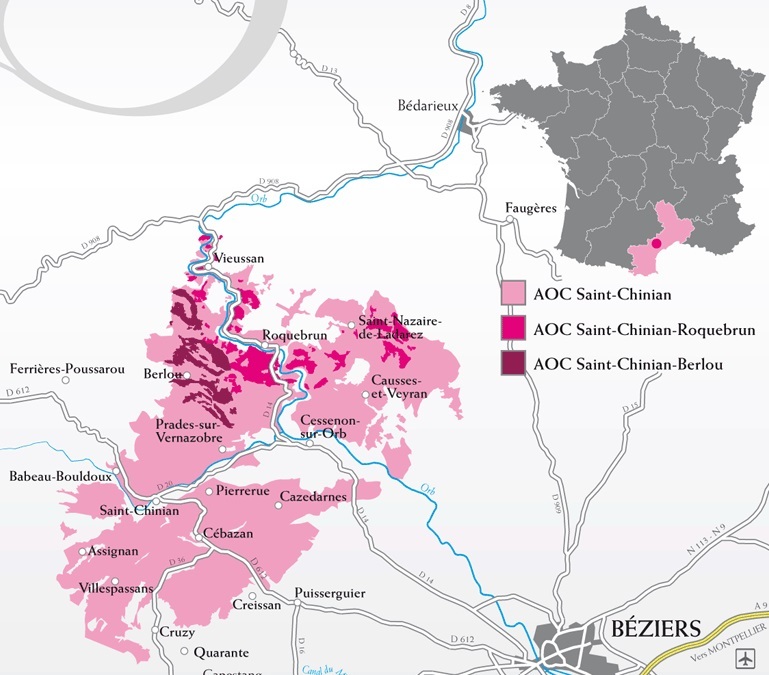 The Virtuose de Saint-Chinian is a rigorous wine competition for the appellation. I was asked to be a judge this year. I get to taste a lot of wine as an importer and retailer. But this year for the first time I was asked to taste wine for a competition. Producers from Saint-Chinian in the Languedoc submitted wine for the Virtuose, a very intense wine contest. Each producer participating was asked to supply three vintages of a single wine that was supposed to be the best thing they make. Judges blind-tasted 15 wines each (in groups of five judges tasting the same wines), but with three vintages it was actually 45 wines, all in two hours. We couldn’t go back and re-taste a previous selection after we tried the three vintages, and each bottle was scored on many attributes. One of them was typicity, or whether the wine tastes like something from the region. 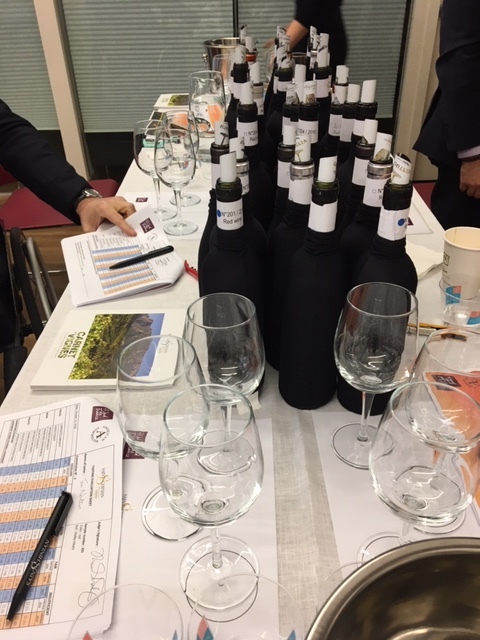 I suppose that’s why I got asked for the jury – I’ve carried Languedoc wines for a while now and have a pretty good idea what the various appellations taste like. What I learned was that, surprisingly, my tasting partners and I largely agreed on the wines we tasted together, at least in general terms of excellent, good, and not so good. This was extremely comforting, because I have been accused occasionally of having very particular (if not peculiar) taste in wine. The other thing I learned is that this sort of judging is really hard. I could taste differences between the wines, even after tasting many of them. But when I’m tasting wines to decide on purchasing, I get to go back and re-taste after I’ve tried a few others. I don’t have to treat each wine as if no other wines existed. The experience made me wonder what my producers and customers think about competitions. For customers, does it influence whether they’ll buy a wine? For producers, what makes them decide to enter? All my French producers participate in the contests at local village fairs, and it makes the celebrations more festive. But for higher-level competitions, what will they get out of them? I’ll try to get some answers. Getting ready to taste 45 wines in two hours! Thank you for sticking with me this far. Now for a holiday recipe! My late mother-in-law came to the U.S. in the early 1950s from the Netherlands. She’s the only one of her family who left Holland, and each year she’d order boxes of Dutch goodies for her U.S. family at Christmas. 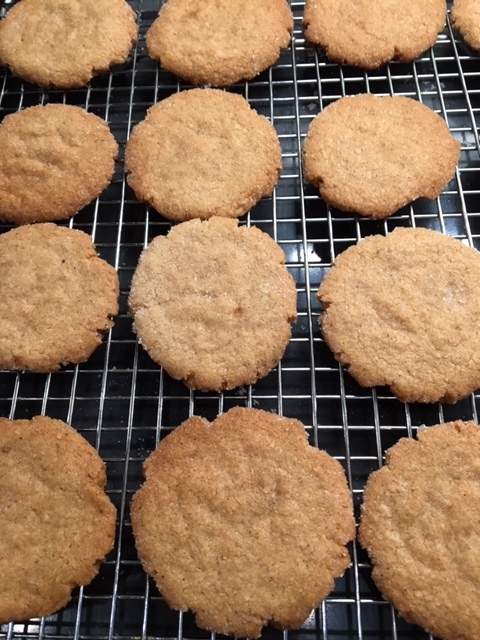 My favorites were the Speculaas cookies – spice cookies cut and embossed to look like ye olde timey Dutch windmill. I hadn’t had real Speculaas before I tried one of the ones she gave us. They’re crisp little flavor bombs that are a perfect counterpoint to some of the richer and sweeter treats at Christmastime. When Cy and I decided to make Speculaas for our annual holiday eggnog party, I searched around and put a recipe together with things I liked from various versions and a few additions of my own. I think my mother in law would approve of the result, and I wish she were still with us to taste them. We were actually going to see if we could find a windmill-shaped cookie cutter or one of those embossing rolling pins. But when I made a trial batch and tried rolling the dough out it stuck to everything, even greased parchment paper. So we abandoned the idea of fanciful shapes. Instead, we take tablespoon-sized portions, roll them into balls that get coated with sugar, and then flattened on the baking sheet with a glass. They’re all the same size and pretty much the same thickness. Rather plain-looking, but the sugar gives them a nice crunch and a little sparkle on the edges. You can always drizzle on some colored icing made with confectioners sugar and milk to up the presentation. One of our new selections will pair perfectly with the cookies – Azienda Agricola San Benedetto Vin Santo del Chianti ($28). Vin Santo is made like balsamic vinegar: the wine is aged in barrels that allow some water evaporation. As more liquid evaporates, the wine is put into smaller and smaller barrels until it’s ready. This Vin Santo is sweet but not overly sweet, with apricot aromas and concentrated fig and date flavors. It’s made with Sancolombano, Malvasia, and Trebbiano grapes, so it’s a white wine by composition. However, aging in chestnut barrels and the concentration give it a lightly golden color. 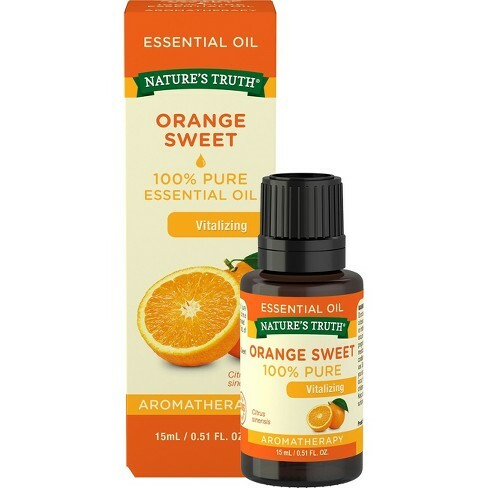 It’s great with fruit, cheeses, and most all desserts. And I think my mother in law would have loved a glass with her Speculaas! Happy Holidays to everyone – and a safe, healthy, and happy new year! My version of a holiday favorite. Whisk the all-purpose flour, salt, baking powder, and spices together. Cream the butter, brown sugar, and vanilla together in a stand mixer until well mixed and fluffy. Beat in the almond flour until well mixed and any lumps are gone. Turn the mixer to low speed and beat in the flour/spice mixture about ¼ cup at a time until it’s all mixed in. Beat in the milk. You should have a soft dough that holds together. Put a large sheet of plastic wrap on the counter, then put the dough on it and pat it into a flat disk. Wrap up the disk and refrigerate for at least an hour (or up to a few days). Preheat the oven to 325 degrees F with a rack in the center of the oven, and line two cookie sheets with parchment paper or nonstick mats. Put at least ½ cup granulated sugar on a large plate. Using a measuring tablespoon, measure out 1-tablespoon pieces of dough and roll each piece into a ball. Roll the balls in sugar. Place 15 balls on one of the lined baking sheets. Dip the bottom of a drinking glass or a 1-cup liquid measuring cup in the sugar and then press down on each ball to flatten it into a disk about as big as the bottom of the measuring cup. You may have to slide the disk of dough off the bottom, but it will come off easily. Bake for 15 minutes and check the cookies – they should be getting a little bit browned on the edges, but not deeply browned. Bake a couple of minutes more if necessary. Remove from the oven, and let them sit on the sheet for about 5 minutes before removing to a cooling rack. Repeat with the second sheet. Over the years of this blog’s existence, we’ve put out plenty of recipes for Thanksgiving leftovers, but not too many for Thanksgiving dinner itself. The rationale for this was simple: most of you really don’t want to mess with Thanksgiving dinner. Sure, there’s always the thought that you’ll introduce a new and exciting side dish, or maybe brine the turkey this year, or stop brining the turkey this year, or finally admit that your best friend’s/uncle’s/random invited stranger’s pumpkin pie isn’t that good. But really, part of the comfort of Thanksgiving dinner is the familiar. There are enough variables in cooking a turkey or making a pie crust, so why introduce more uncertainty? With leftovers, though, the sky’s the limit. And why not? 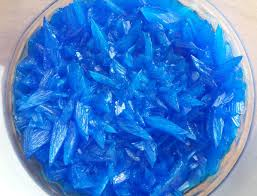 You could be eating the meal’s remains for days. The joys of even great turkey sandwiches wear thin after too many of them. Here’s a compendium of our Thanksgiving recipes, both for the meal and the leftovers, and also a few suggestions for using those leftovers in some of the other dishes we’ve presented over the years. For the day itself, if you’re looking to mix it up just a little, try this Cornbread and Chestnut Stuffing. It’s great cooked in or out of the bird. And even if it’s not part of your normal repertoire, the green bean casserole is a crowd-pleaser. The dish’s creator, Dorcas Reilly, died earlier this year, so you’ll see a lot of different versions of the recipe in print and online. We’ve got one devised by Lauren DeSantis, creator of the Capitol Cooking Blog, using no canned products. And finally, if you put out any appetizers before the meal, consider our “Get Your Guests out of the Kitchen” Ricotta Spread, which is simple to make and good enough to get your guests out of your hair while you get the groaning board ready. I’ll also go off-book here and recommend something that’s not from my blog. If you find you have lots of leftover pie that doesn’t get eaten (rarely a problem for me, but you never know), try making Dorie Greenspan’s Two-Fer Pie instead. It’s a combination of pumpkin and pecan pie in one. That way you can make only one pie and it’s sure to be finished up. And if there’s a piece or two left, cut them up and fold into softened ice cream. Instead of pie a la mode, you’ll have ice cream with pie mix-ins. Cooked turkey meat is useful for a bunch of recipes. I try to make Tukey Tetrazzini every year – spaghetti with turkey and a mushroom-filled cream sauce – because it’s delicious, but also because it’s named for Luisa Tetrazzini, one of the most amazing voices of the late 19th/early 20th centuries. Turkey and Cheese Soufflé Casserole is a riff on a recipe that Jacques Pépin and Julia Child made on their joint TV show back in the 1990s, and it’s worth making even if you have to go buy thick-sliced turkey from your supermarket deli. You can also use the turkey meat in place of chicken or other meats. And if you make turkey stock with the carcass, swap out any chicken stock you find in those recipes. Like this Barley, Corn, and Kale Soup. Using cubed turkey instead of ham and turkey stock for the chicken stock makes it really luscious. You can also use turkey and stock in my Chicken Chili (skip the part about cooking the chicken and add the cooked turkey at the end), and Spanish-Style Chicken Stew. But my favorite way to use turkey and stock is in Circassian Chicken. It’s a Syrian dish with a spicy sauce made from stock, walnuts, and bread that get ground together in the food processor. It’s served cool or at room temperature, so it’s great for the post turkey day buffets. Tacos and enchiladas are naturals for using leftover turkey meat. But if you want a Mexican dish that’s out of the ordinary, swap out a pound of shredded turkey for the tuna in Pati Jinich’s Tuna Minilla Casserole. Turkey has less flavor and bite than canned tuna, so up the amounts of olives and pickled jalapeños, plus add a teaspoon or two of lime juice to the filling. I find stuffing leftovers unappealing, mostly because I’m not a fan of lumps of soggy bread. But I do like stuffing when it gets nice and crispy. Spread the stuffing on a parchment-lined baking sheet and bake it. Then let it cool and break it into pieces to use as croutons on salad or with soup (I serve my soup croutons on the side. Yes, I know it’s bizarre, but that’s just the way it goes). You could even gild the lily on a shepherd’s pie (made with turkey and turkey stock or thinned-out gravy, of course) by spreading a thin layer of mashed potatoes (or potatoes mixed with Mashed Parsnips, Onion, and White Beans) over the filling and then dropping pieces of stuffing on top before baking. But my favorite way to use leftover stuffing is Stuffing Croquettes. Bind the stuffing together with some egg white (assuming you don’t have any egg in it already), then form into small balls, dip in egg white and bread crumbs and deep fry. Crunchy, satisfying goodness. Serve them with a dipping sauce made from your leftover cranberry sauce thinned out with a little white wine or rosé. Speaking of wine, you’re no doubt tired of hearing me go on about rosés with Thanksgiving dinner. So I won’t again this year. The best wine advice was something I heard at a conference a few years ago: drink anything you like. Just make sure that you bring enough of it for others to try, too. And try different wines with foods you wouldn’t normally pair together. If they work, great. If not, have a sip of water and try something else. Maybe you can start a new Thanksgiving tradition! PS – As a wine merchant, I would be remiss if I didn’t mention the pre-Thanksgiving wine tasting we’re participating in. Details are here. It’s Monday, November 19, so if you’re in the DC area, be sure to stop by! Very exciting to get a rave review for a few of our wines in the Washington Post! I hadn’t realized that the online review would come out nearly a week before it appeared in print. This led me to think about what enticed people to order after reading the review in different media. So…this happened: the wines I import from Domaine Marion Pla in the Languedoc got a lovely review in the Washington Post. I didn’t know about it, though, and was surprised when I started getting orders for the wines. My customers pointed me to the online review, which was released Thursday, September 13. By 8:00 that evening I had nearly two dozen orders. All but four of them were from outside the DC metro area. The print review appeared the following Wednesday, September 19, and I’ve had just a handful of additional orders since then, all in DC or close-in Virginia. Believe it or not, I’m not writing about this simply for self-aggrandizement (although you should go right to our website and order wine after reading this, of course…) I was surprised by the disparity between orders after the online vs. print edition of the review. The last time I got a similar review, back in 2014, all of the orders came after the review appeared in print. And while back in 2014 people ordered the wines reviewed almost exclusively, this time many online readers also decided to try a range of selections. The print readers again largely stuck to what was in the review. I contacted the Post about increases in the digital-only subscriptions since January 2014, and what percentage of those subscriptions were for people outside the DC Metro area. While the Post doesn’t make most circulation information public, here’s what I learned: as of this time last year, the Post passed the one million mark for digital subscriptions, which was double the number they had as of January 1, 2017. They’ve been increasing exponentially since 2014. I suspect that the Post’s national coverage has been a big draw since the beginning of 2017. So it’s no surprise that online subscriptions are way up. In fact, one customer told me she had been reading about “the catastrophe(s) plaguing our country” and turned to reading about wine. I’m happy to hear that people are venturing beyond the headlines to other sections of the paper. 1) There wasn’t a difference in ages between customers who read the review online vs. print. Since customers have to give their birthdates to order I could check this out. Everyone who ordered was over age 35, and while the five youngest customers ordered after reading online, so did the five oldest customers (all born in the 1940s). The rest of the customers, both online and print readers, ranged between 45 and 60 years old. 3) Potential customers reading a print review may require more than just the review to order online. I suspect I received more orders after the 2014 print review than this latest one because the earlier review was part of an article about the origin of those wines – the story of my father and his family in World War II, and a heroine of the French resistance who helped them. Definitely more compelling than the everyday wine review, and in fact I got quite a few e-mails through our website about the story, even if those readers didn’t order wine. I wonder how many more orders I’d have received from online readers if the Post had the same number of online subscribers back then. 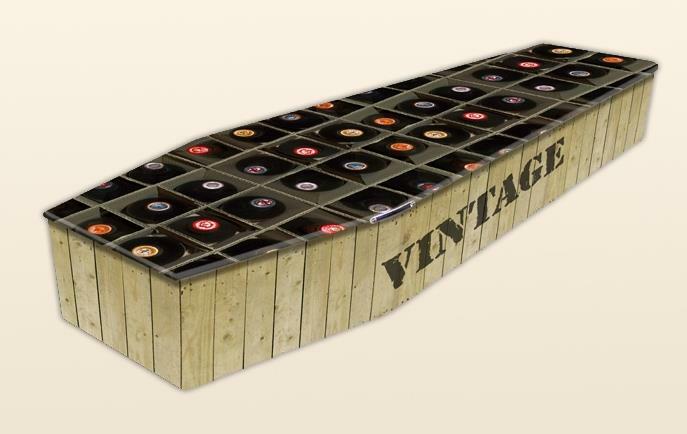 I’d love to hear from readers about how they order wine online and what drives them to it. And I bet I’m not the only one, so please write in! Not quite a peck of pickled peppers, but still a bunch — and this isn’t all of them. Naturally, I had to look for recipes to make with this bounty. 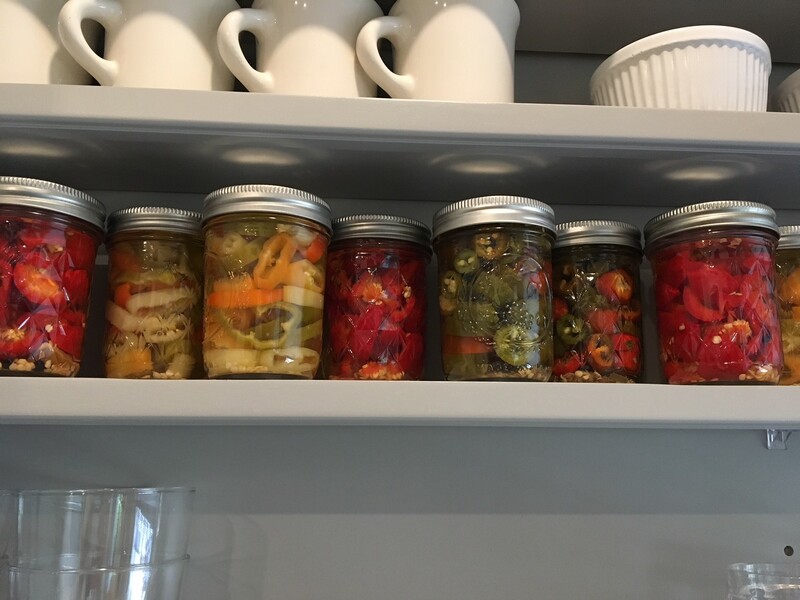 I’ve written before about my husband Cy growing peppers in pots on the concrete slab in back of our house and how I’ve started canning them. This year we have Italian cherry peppers, pepperoncini, banana peppers, and jalapeños. I’ve pickled them all, and as usual was searching around for ways to use them. Cy and I were watching Pati Jinich’s “Pati’s Mexican Table” on TV one evening and she made Tuna Minilla Casserole. 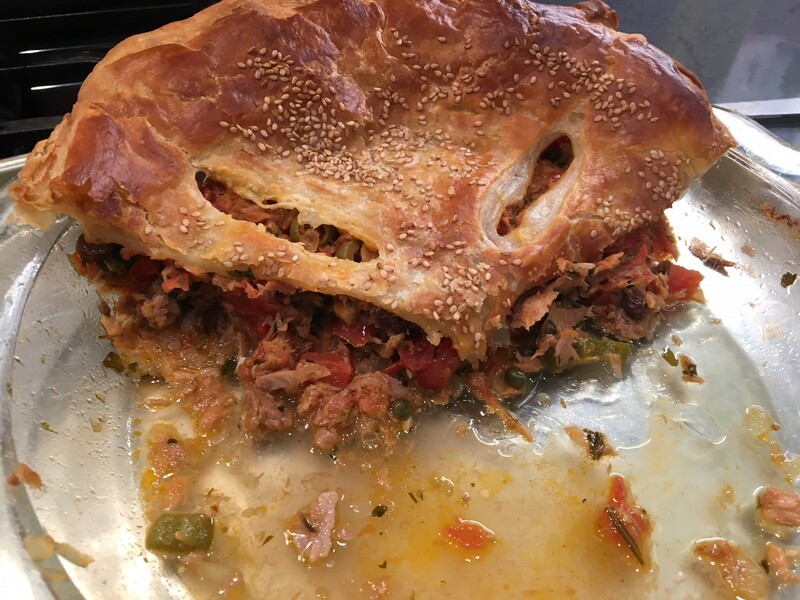 It’s a tuna pot pie, and the filling has onion, tomato, pickled jalapeños, capers, raisins, and olives in it. Cy and I loved it! I asked Pati for permission to reprint the recipe and she graciously agreed. Tuna Minilla Casserole, fresh from the oven. A couple of things here: I only used the top crust, while Pati’s recipe gives you an option of a double-crust pie. 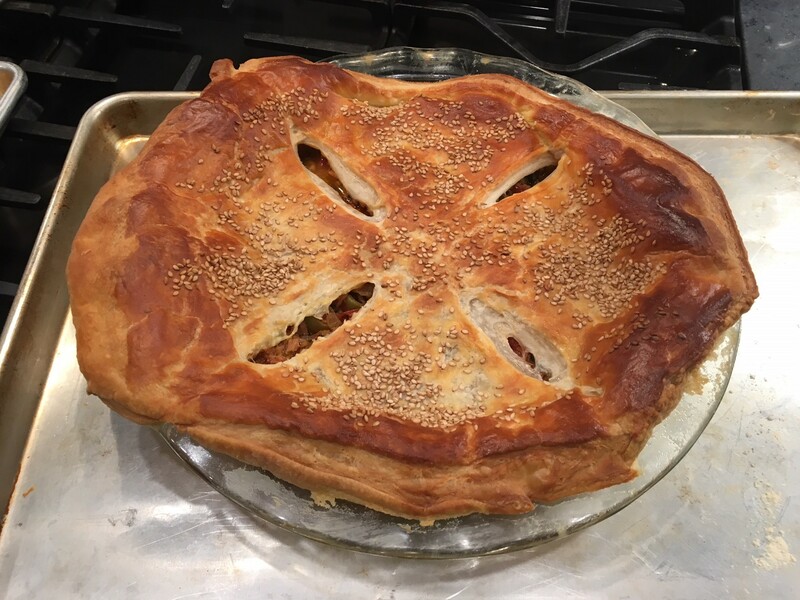 Also, the photo on Pati’s website doesn’t show it, but I could swear the one I saw her make on her show had sesame seeds sprinkled on top of the crust. So I added them as an option. Pati recommends puff pastry, but you could also use a pie crust if you like. She also makes empanadas with the filling, which is a good idea if you don’t want to have the entire pot pie. Finally, the recipe calls for two seven-ounce cans of tuna, which are hard to find these days. I used three five-ounce cans instead. Of course, you could drink any of the wines in the Post review with the pot pie. Cy and I had another of our new selections, Bois de Montlobre ($15). It’s 80% Grenache, 20% Syrah, from Les Vignerons du Pic, a cooperative winery in Assas, France. The Bois, or woods, of Montlobre are just northwest of Montpellier in the Languedoc, and the wine is earthy with a little ripe fruit. It paired perfectly with the brightness of the tuna filling and the buttery puff pastry. In fact, that’s my review – serve this wine with Tuna Minilla Casserole! Now you can see the filling, too! Recipe from “Pati’s Mexican Table” on PBS with Pati Jinich. Reprinted with the author’s kind permission. In a large skillet, heat the oil over medium heat. Once it’s hot but not smoking, stir in the onion and cook until it’s soft and translucent, about 5 minutes. Add the garlic, stir, and cook until fragrant, about 1 minute. Stir in the chopped tomatoes and cook, stirring often, until completely cooked, softened and mashed-up and pasty looking, about 15 minutes. Toss in the tuna, and with a spatula or wooden spoon, mix it well with the tomato mixture, making sure there are no big chunks. Add the bay leaves, brown sugar, oregano, thyme, salt and mix well. Add the raisins, olives, pickled jalapenos, capers, fresh parsley and mix well. Cover the skillet and reduce the heat to medium low. Cook for about 10 minutes, the mixture should be very moist but not watery. Taste for salt and add more if needed. Remove the bay leaves and set aside. Optional: brush the crust with the egg wash and sprinkle the sesame seeds on. Cut 4 to 5 vents on the top. Place the casserole in the oven and bake for about 20 – 25 minutes, until crisp, puffed up and golden brown. A new wine we’ve brought over — a rosé made from Grenache Gris. It’s a rarely-used grape, and some vineyard subsidies in France may be making it even rarer. Last week I profiled Marion Pla, winemaker of Domaine Marion Pla in the Languedoc in southern France. She had told me about wanting to make white wine and having to buy new land that already had white wine grapes growing on it, since she and her father were only growing red grapes at the time. This prompted a reader to e-mail asking why Marion couldn’t just plant the white wine grapes on her property. The short answer is that Marion can plant whatever she wants. However, if she wants the wine to be labeled AOC Saint-Chinian, that’s another story. The AOC has rules about how many acres of vines can be planted within the boundaries of the appellation, what grape varietals are allowed, and how much wine can be produced per acre of vines. AOC Saint-Chinian is relatively prestigious, and the wines sell for more than they would if they were labeled simply as table wines. So Marion chose to buy land with white wine grapevines on it that was already in compliance with the rules. Off went my e-mail. In response, I got more questions, including one about subsidies for vineyards and winemakers. Many have the impression that winemakers and grape growers get heavy subsidies from the European Union. I’ve heard various things about EU regulations and subsidies over the years, but I didn’t have the facts at hand to say one way or the other. Well, lucky me – a French friend happened to send me a link to an article about French vineyard subsidies by Jonathan Hesford in Connexion, an English-language monthly about France. * (Seriously, a concise yet comprehensive article that I didn’t have to translate? Bonus!) Hesford, born in England, owns a vineyard and winery in the Roussillon with Rachel Treloar, his New Zealand-born wife. Wine is not a first career for either of them so they learned it from the ground up, so to speak. Hesford and Treloar learned French, bought an old winery and plots of land with mature vines on them, and set about renovating, replanting, and getting started. In the process, they found out what subsidies they might be eligible for. It turns out that France, unlike Spain and Italy, doesn’t allow vineyards to get the general EU agricultural subsidy that pays farmers annually based on the amount of land they own and farm. This means, all else being equal, that wine is cheaper to produce in Spain and Italy than it is in France. 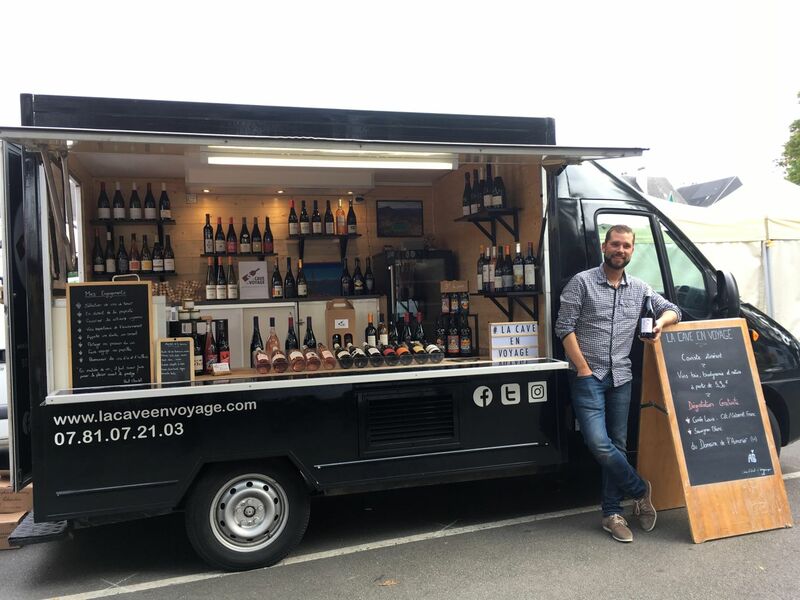 You probably heard about French winemakers stopping and emptying tanker trucks of Spanish wine crossing into France in the past couple of years. This happened partly because of what they perceive as unfair trade practices due to differences in subsidy policy. But also because of unscrupulous French buyers who repackaged the cheaper Spanish wine to make it look like French wine. Some have even labeled the Spanish wine with French appellations. France and the EU do give grapegrowers and winemakers some subsidies, under particular circumstances. These include start-up grants for first-time winemakers under age 40, replacing equipment with more environmentally-friendly machinery, organic conversion and maintenance, replanting of vines, and some new vine planting on land not previously used for vineyards (these last two have to be approved by the French government and the local appellation. According to Hesford, there’s a seven-step application and verification process for them). These are straightforward, but there are two more controversial subsidies. Both result in growing less of what are perceived to be less-profitable vines. One subsidy pays growers to replace vines with more commercially-profitable varietals. The other pays growers to stop farming some of their land where they currently grow those (supposedly) less-profitable varietals. In practice, this means more Syrah and Cabernet Sauvignon, and less of some older local varietals. Hesford cites Carignan Blanc and Tannat as victims of these particular subsidies in southwestern France. Some growers no doubt felt they had to take these two subsidies in order to stay in business. But I hope that the resurgence of interest in local varietals creates a comeback that changes the policy. Otherwise, it appears from my reading that the rest of the subsidies are an attempt at keeping the industry around in the future. That seems sensible – and, I hope, successful. * This article is behind Connexion’s paywall. I have asked for limited-time free access for this blog link. Stay tuned. This week’s recipe is also the result of a coincidence. My husband Cy made me Kookoo Sabzeh for my birthday this week. 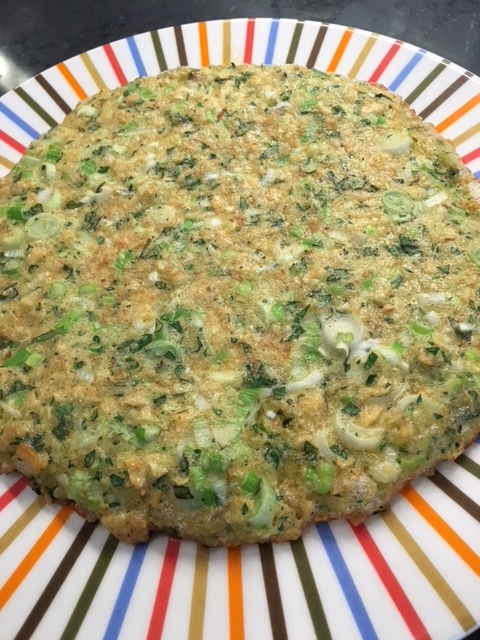 It’s an Iranian herb frittata. But it’s more than that, really. There are lots of herbs in there, and so it’s more like a frittata where the herbs are like a vegetable not a garnish. There’s a lovely thick green layer on the top. Cy’s father came to the U.S. from Iran in the 1950s, and many in his father’s family came over later. Cy tells me that stepping off the elevator in the building where his grandmother lived was an aroma experience. Kookoo Sabzeh was one of the things she’d make for family gatherings. It’s also typically served for Novrooz, Persian New Year. It was delicious! Why the coincidence? The day after having Kookoo Sabzi for dinner, I listened to the first episode of chef Yotam Ottolenghi’s new podcast, Simple Pleasures. Every two weeks he invites a guest to his home and cooks food from Simple, his new cookbook. One of the dishes he made was what he called Persian Herb Fritters, which are really just small versions of Kookoo Sabzi. His guest was Nadiya Hussein, winner of the Great British Baking Show, and now a cookbook author and food television person. It’s worth hearing their conversation, which encompasses food, child rearing, marriage, and being a Muslim woman who’s also a major international food personality in the age of social media. So although I sent out a Kookoo Sabzi recipe e-mail back in 2008 (before this blog started), how could I not include it here? Especially since Cy has revised it from the original (and you all kept it, right? 😉) Cy had it on the table in about 45 minutes, including washing and chopping the herbs. I wish I’d taken a photo, because it’s beautiful to look at. You can serve it warm, at room temperature, or out of the fridge. According to Ottolenghi, it also makes a great sandwich filling. We served an aromatic white wine with the Kookoo, Château d’Assas Blanc 2017 ($16). It’s a new selection for First Vine, a blend of Roussanne, Marsanne, Vermentino, White Grenache, and Viognier. All officially sanctioned AOC Languedoc grapes, and really delicious. I love this wine not only for the way it tastes, but because of its association with my family’s history. 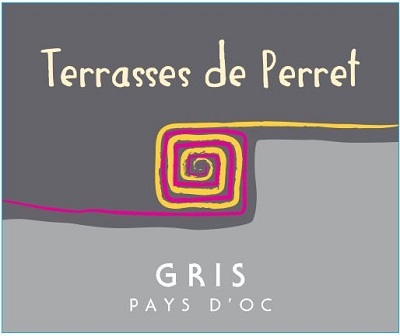 But if you’re looking for something a little more local and rare, try Terrasses de Perret Gris 2017 ($13). It’s a rosé from the same producer as the white, a cooperative winery in Assas. The grape is Grenache Gris – Gray Grenache – which is different than Red Grenache (often called Grenache Noir). The gray comes from the skin’s appearance, which actually looks gray. It’s occasionally used in rosé in the Languedoc and in Corsica. This is the first time I’d tasted a 100% Grenache Gris rosé, and it’s lovely. Drink it and strike a blow for subsidizing the ancient grapes! This fresh herb and egg dish is similar to a frittata. Have it for lunch or as a side dish with dinner. Serves 4-6. In a large bowl, whisk the eggs, salt, pepper, and fenugreek leaves. Then whisk in the spinach mixture and currants. Gently stir in the four fresh herbs: scallions, parsley, cilantro, and dill weed. Generously coat bottom and sides of a 10-inch nonstick skillet with olive oil and add the tablespoon of butter. Heat the skillet over medium heat for a couple of minutes. Pour the mixture in and cook over medium heat for 3 minutes, then reduce the heat to the lowest setting and cook for another 10-15 minutes, covered, until the egg is fully cooked and the kookoo has puffed slightly. The bottom will be browned but shouldn’t be burnt. Take the pan off the heat, uncover, and let the kookoo cool in the pan for 15 minutes. Cut into wedges and serve warm or at room temperature. 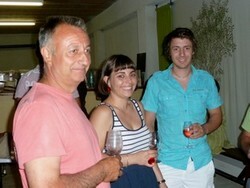 Jean-Pierre, Marion, and Antoine Pla of Domaine Marion Pla in the Languedoc. Jean-Pierre, Marion’s father, grows the grapes, Marion makes the wine, and her brother Antoine recently joined the family business as a marketer. I’m thrilled to import Marion’s wines and share her family story with you. In February, I attended back-to-back wine shows in Lisbon, Portugal, and Montpellier, France. I met a lot of winemakers and winery reps and tasted plenty of good wine. I’ll probably end up buying from a few of them. I have to think carefully about bringing on new suppliers, given the effort and up-front costs. I’ve learned over the years that I’ll have serious discussions with far more producer reps than the number I’ll end up buying from. But sometimes at shows you meet a winemaker and realize that (a) you really like him or her, and (b) you really like the wine, and your customers will, too. And if, after talking (and more drinking), you also realize that the winemaker is willing to undertake all the rigmarole that’s required to export — especially to the U.S. — despite never having done it before, it’s like you’ve just discovered a winning lottery ticket in your pocket. This trip I’m happy to say it happened with Marion Pla, winemaker of Domaine Marion Pla. She has a 22-hectare vineyard, and makes wine in Cessenon sur Orb, a small village near Saint-Chinian in the Languedoc. I had met Marion on an importer trip in 2013 and liked her wines, but we were a little overscheduled during the tastings so I didn’t get a chance to talk with her. This time, when I learned she’d be at Vinisud in Montpellier, I made a point of spending more time talking and tasting. Marion’s family vineyard goes back three generations. Her grandparents purchased plots of land when they got married, selling their grapes to the local cooperative winery. Her father, Jean-Pierre, initially became an electrical engineer, but in 1978 decided to take over farming from his parents, also continuing to sell grapes to the cooperative. Marion wanted to make her own wine, and so studied winemaking at university in Montpellier. After graduation, she started gathering real equipment to replace the small setup her family, like practically all grape growers, used to make a little “vin du garage” for their own enjoyment. She also began the process of organic certification right away. It was, and remains, particularly important to her, but she was happy that her father felt the same way about it. After all, the real work of organic production happens in the vineyard, and Jean-Pierre is still the grape grower. Marion told me that Jean-Pierre has a real love of learning, and continues to study new environmentally-friendly farming techniques, even now in his 60s. His grape production had been practically organic for years, so it took no convincing to get him to agree. 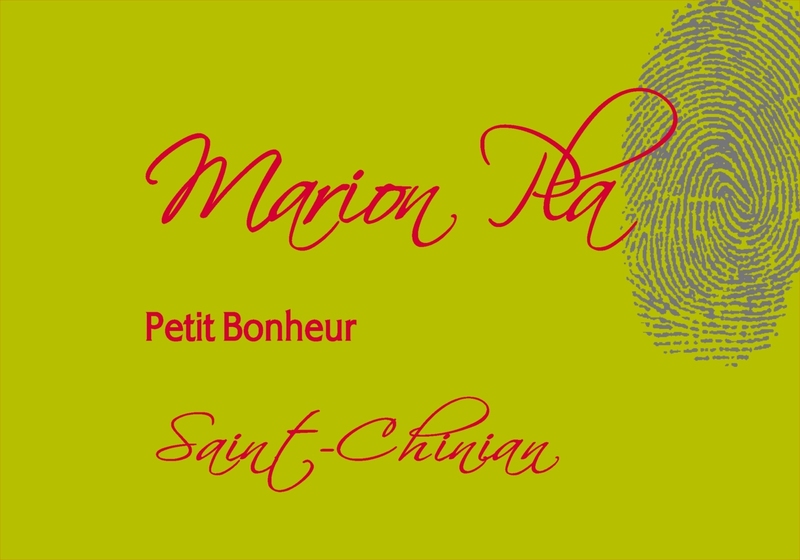 The label for Petit Bonheur, Marion’s rosé. Its first vintage was 2008, a year after her first production. The fingerprint on it is from her younger brother, Antoine, who picked up a bottle of one of her first wines and inadvertently left his thumbprint on it. She decided to put the thumbprint on all her labels. Today, she makes three reds, a white, and a rosé, all AOC Saint-Chinian, plus AOC Languedoc bag-in-box red and rosé. The Saint-Chinian wines all have interesting names. In addition to Premier Sceau, a blend of Syrah, Grenache, Mourvèdre, and Carignan, the two other reds are Conviction Intime, equal parts Grenache and Syrah, and Profonde Gratitude, which is 90% Grenache. Profonde Gratitude means just what it sounds like in English. Marion chose the name because the wine is similar to the Vin du Garage she helped her father make when she was a child. She is, she says, still profoundly grateful to be doing something she loves and be part of a family business. But when I tried her white wine, Les Larmes de Jeanne, I couldn’t understand why she would give a wine such a seemingly unhappy name. It means “Jeanne’s Tears.” Marion told me the story of its development. She and Jean-Pierre decided they wanted to make a white wine. Since they weren’t growing white-wine grapes at that point, they began looking for land that already had vines for white wine grapes growing on it. One evening, at dinner with Jean-Pierre’s father, they discussed the options. The grandfather said that one of those parcels of land was one he had his eye on back when he and Marion’s grandmother were first married. But life then was hard and so was the work – her grandmother Jeanne put her foot down, and even began to cry when her husband wanted to spend what was for them a vast sum of money on new land when things were already so difficult. Marion and Jean-Pierre decided to buy the land her grandmother had been so upset about. And also to tell that family story through the wine by calling it Les Larmes de Jeanne. It’s equal parts Roussanne and White Grenache, so it definitely doesn’t taste like tears. But its minerality and little bit of salinity aren’t out of character for the name, either. As I’ve mentioned before, people who make wine put a lot of themselves into the product. Making wine really isn’t like making (or selling) anything else. Importing their wines makes me feel like I’m a small part of their businesses. And in some cases, when it’s a small family business, I get to feel like I’m sort of a family adjunct, too. I’m looking forward to getting to know this family better – and bringing over more of Marion’s wines. The mixture for Dorie Greenspan’s Potato Chip Tortilla in the skillet. No one will ever guess there are potato chips in there! I’m delighted to give you a recipe for one of my favorite things to serve with wine. Dorie Greenspan’s book Around My French Table has become a go-to source for great things that I can make for wine tastings. Her Potato Chip Tortilla, a quick version of the traditional Basque tortilla omelet with potatoes, is delicious and easy to make. And, most importantly, it’s an excuse to buy potato chips! The recipe calls for 3.5 ounces of chips, which, conveniently, is half of a seven-ounce bag. I asked Dorie for permission to reprint the recipe here and she graciously agreed. I don’t need to give more explanation except to tell you that after making it several times, it’s easy to overcook it, which I did in the one I photographed for this post. The tortilla still tastes good if it goes a bit too long, but it’s a little dryer. The recipe calls for a two-step cooking procedure, first in a skillet on the stove to set the sides, then under the broiler to cook the top. The sides are set when you can put a heatproof spatula between the tortilla and the side of the skillet, gently press toward the center a bit, and feel that the sides are secure – liquid isn’t running out of them. The sides of the top of the tortilla around the pan should also be set. Then, when you put it under the broiler, take it out before the top browns. It will continue to cook for a couple of minutes and will have a perfect texture. I think it’s best at room temperature. The finished tortilla, ready to serve. It pairs well with practically any wine. The tortilla pairs well with pretty much every wine I’ve served with it. Of course, I’m hoping you’ll try one of Marion’s wines: Les Larmes de Jeanne ($16), Petit Bonheur ($14), or Profonde Gratitude ($17). And don’t forget to put the rest of the bag of potato chips out with them…unless, of course, you’ve eaten them already! From Dorie Greenspan’s Around My French Table, reprinted with the author’s kind permission. Put the potato chips in a bowl, reach in, and crush the chips – a noisy, greasy job that leaves you with potato-chip fingers you’ll want to lick. 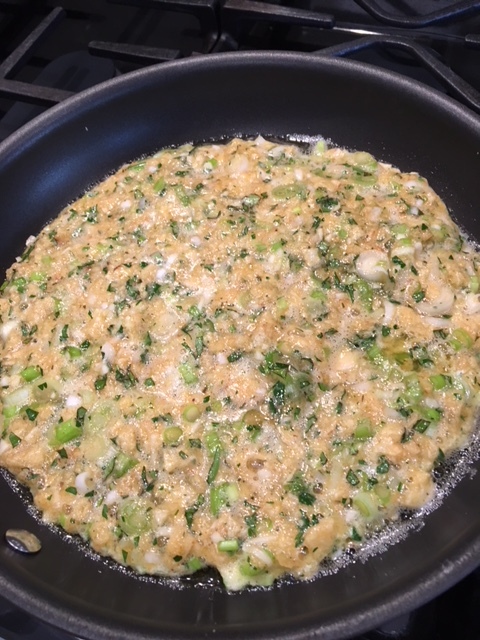 Put the eggs, onion or scallions (if using), herbs, garlic, and cayenne or piment d’Esplette into another bowl. Season with a little salt and pepper and whisk to combine. Pour the eggs over the chips and stir to blend well. You’ll need a small skillet that can go under the broiler: 9 inches is about as big as it should be. I use an old-fashioned cast iron skillet, but a nonstick skillet is also good. (If you’re not sure that the handle can go under the broiler, wrap it in foil.) Position a rack under the broiler so that when you slide the skillet onto it, it will be about 6 inches from the heat source. Turn on the broiler. Place the skillet over medium heat and pour in the olive oil. When the oil is hot, give the eggs and chips a last stir and pour them into the pan. Use a fork to push the mixture out to the edges of the pan if necessary, then turn the heat down to low. Cook the tortilla for 2 to 3 minutes, or until it is set around the edges, including the top edge. (Being set is more important than the timing, so just keep watching the eggs.) Remove the pan from the heat and run a heatproof spatula around the edges and under the tortilla in case it has stuck to the pan. Slide the pan under the broiler and cook until the top of the tortilla is set, about 1 minute. Slide the tortilla onto a serving platter or board, and serve warm or at room temperature. Long time no blogging! Those who noticed might have wondered what the silence was about. First, they don’t call it the summer doldrums for nothing. Wine sales for First Vine slump in the summer and it doesn’t seem to matter how many posts or e-mails I do. Then there’s the sad fact that after (gulp) 10 years of putting thoughts about wine online, I find I’m developing a shorter and shorter attention span. Part of it is that my wine-related interests are deep rather than broad – and I don’t want to repeat myself on things I’ve written about. Then there’s the constant bombardment of non-wine news that has altered my brain in ways that make it more difficult to formulate clear and persuasive thoughts without wanting to scream and use obscenities. But lately, something has broken through the fog and made me pay attention and is worth talking about. Even though it’s making business more difficult. When I order wine from Europe, the shipper sends trucks to pick up wine from the producers. The pallets get consolidated with other suppliers’ wines in containers and then taken to ports and loaded on ships. The ships dock in New York or New Jersey. The shipping company sends containers to its deconsolidation warehouse, where the individual pallets are marked for trucking to importers. The shipping company hires various trucking companies to deliver the pallets. In the olden days 10 years ago, my pallets would be in DC within a week of docking. But my first shipment this year took four weeks from docking until the wine arrived in DC because the shipping company had trouble scheduling a truck to take the wine down. Add to that similar trucking delays in France picking the wine up from my producers, and everything is taking twice as long as it used to from the time I ask the shipper to pick up the wines until they arrive. I’d been reading about a truck driver shortage since early this year. And I had noticed in the past few years that delivery was taking longer than before, but I really hadn’t paid close attention. Now I am, though. Especially since another shipment of mine arrived in port two weeks ago, with no indication of when it will make it down to DC. There’s a confluence of factors at work: more companies shipping more things to more people, relatively stagnant pay for truck drivers who work for large trucking companies (and consequently, fewer people taking the jobs), and rising fuel costs. The Post article I linked to indicates that in order to make more money, truck drivers have to form their own small companies and go out on their own. Some people with commercial driver’s licenses (CDLs) are going even smaller – renting trucks and hiring themselves out for runs that provide them payment on delivery. It’s the Uber/Lyft model applied to moving goods. Typically, large trucking companies get paid days to weeks after a particular delivery gets made, not right away. First Vine is small potatoes when it comes to trucking, and I never get a full truckload on those 52-foot trucks that are the most cost-effective. This means I’m counting on others in the greater DC area also getting deliveries of wine. Depending on the time of year, this can add a few days to the total time. But that delay is small compared to the time it takes just to line up a truck and driver. So there are decisions to be made. Trucking from port to DC costs more than twice what it did 10 years ago. It would still cost more to hire a truck and driver myself (or perhaps with others in the area). But it would get here potentially three weeks sooner. I’m probably too late in the game this year to think about doing that, but it will definitely be a consideration next year. Or maybe I should just get a CDL, rent a truck, and do it myself. Who knows, maybe there’ll be First Vine Wine Imports and Trucking next year! No recipe this week, but I’ll have one next time. I’m also getting wine from one new producer, plus new selections from old favorites. So lots to write about in the coming weeks! I’ve read as many studies on alcohol and health as possible for the past decade-plus. And also the media coverage that goes with them. As I’ve mentioned before, wine studies are often big news. And by the time the coverage reaches the formats read or seen by most people, the studies’ caveats can be ignored in the rush of getting to the good or bad news of the headlines. The tone of the coverage is either celebratory or snide depending on the findings. Each piece of “good news” about wine — like saying that having a glass is equivalent to going to the gym — is greeted by rhapsodic cheers. I get that, because who wouldn’t like a tasty way to skip going to the gym every once in a while? Of course, the rosy scenarios rarely play out in the fine print, but we can dream, after all. What puzzles me is the snark that accompanies news that alcohol, and especially wine, isn’t the cure-all that people had thought it was from previous reports. The latest in this more negative category comes from an opinion piece by Barbara Allen in The Guardian titled, “Wake up tipplers, your nice plonk is not actually doing you any good.” I learned about it because someone commenting on Ms. Allen’s column linked to one of my blog posts, and then several people reading the comment clicked on that link. (Remember, folks, it’s not just Facebook that learns about what links you follow…) Her piece comments on the British National Health Service’s (NHS) recent statement that the maximum weekly “units” of alcohol that people can consume without adversely affecting their health should go from 14 to 12.5. (12.5 units of alcohol is five 175 ml glasses, while 14 units is 5.6 glasses.) In making the statement – not yet a recommendation or official policy — NHS cites a recent worldwide study suggesting that drinking more than five glasses of wine or beer a week is associated with shorter lifespan. Well. Ms. Allen has definitely put her friends on notice, which may make for awkward silences at parties to come. But regardless of her social strategy, the study NHS cited reported that the difference in lifespan between five and 5.6 glasses of wine per week is about two weeks, so I’m not sure why she’s getting worked up. Ten glasses per week shortens lifespan by six months. That means her “demure” drinkers will live a half year less than those who drink less. While six months is six months, it comes out to less than 1% of the average Western lifespan. It hardly seems necessary to be so emphatic. And since she objects to the tone rather than the drinking, I hope Ms. Allen gets equally outraged over the subset of non-drinkers who go on about their healthier-than-thou proclamations, which she doesn’t mention here. But her column leads me to this question: Are people who think that a couple of glasses of wine a day is good for them actively deluding themselves? It’s certainly true that people tend to be more positive about the things they like. Plus, I can understand wine drinkers buying some of the hype put out by news outlets of every stripe, including reputable ones like Ms. Allen’s own Guardian. Even the particular study Ms. Allen references acknowledges that there appears to be a health benefit to drinking – it reduces the risk of having a non-fatal heart attack. As I’ve mentioned before, I don’t understand why people feel the need to grasp at even the most dubious health benefits attributed to things like wine and chocolate. But I get that people don’t want to be seen as merely self-indulgent. While Ms. Allen might give them points for owning up to it, plenty of other people definitely wouldn’t. I also have a few thoughts about the underlying study and ones like it. It’s important that entities like NHS with lots of data on health outcomes examine those data to help construct health policy. Patient outcomes are objective, in that you know how long they lived and what they died from. Data on amounts of drinking and smoking, however, are less objective because the patients provide the answers. No doubt the questionnaires have ways to try and get accurate numbers. But people aren’t stupid – they understand that there’s a stigma attached to drinking too much, or smoking even a little bit. It seems likely to me that people understate their alcohol and tobacco consumption on a regular basis. And some who drink very little or not at all may overstate it, so as not to seem overly zealous. I’m not sure how to avoid this. A few years ago, I wrote about an Italian study that measured the amounts of certain compounds in people’s urine as a proxy for the amounts of wine they drink. This seems less variable, but unless doctors randomly stopped their patients on the street and dragged them inside to give a urine sample, there’s still the possibility of under-reporting. 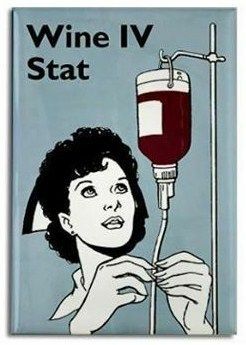 Wouldn’t at least some of the patients decide to drink less (or no) wine before their annual physical exams? The other issue is that these studies show association. And, as science skeptics point out, association is not causation. (That’s probably the only point of intersection between their point of view and mine.) Even with a strong association, there could be other behaviors involved that don’t get covered that affect the results, or certain factors that act in concert. Still, a statistically strong association indicates a direction to look further. So the notion that ingesting certain substances could have an impact (positive or negative) on health and health outcomes isn’t necessarily just the product of nanny-state thinking, but deserves consideration on the merits. Regarding alcohol, what these long-term longitudinal studies – following the same group of people for a relatively long period of time – suggest is that even what we consider moderate drinking results in a shorter rather than longer life. However, the studies don’t examine the quality of people’s lives. As long as drinking remains legal, you are free to make your own decisions and weigh the potential benefits and risks. Obviously, when consuming alcohol affects others, such as during pregnancy or while driving, a stronger policy is necessary. Smoking bans serve the same purpose, to protect others nearby from the health hazards of secondhand smoke. But for your everyday life, you get to decide. This requires both the best possible information, and the acknowledgement that what’s considered the “best” information might change over time. Whether and how you describe that decision to others is also up to you, despite what Ms. Allen thinks. I’m loving this video of a Michigan TV weatherman who calls out his on-air colleagues for their daily vocal disappointment with his forecast. I live with a weather geek husband who tells me what to expect weather-wise at various times of day, and I don’t blame him for the actual weather. But I understand people being tired of the teases of spring that revert back to what seems like an endless winter the next day. The weather has also made deciding what to eat more challenging. But thanks to friends giving us some salmon they’d hot-smoked at home and looking back through old, old cookbooks, I came up with a salmon loaf recipe that works in warm or cold weather. You can usually find canned hot-smoked salmon in nicer grocery stores if you don’t have generous foodie friends. Combine it with regular canned salmon (or non-smoked salmon you cook yourself) and the usual meatloaf ingredients and it’ll be really tasty. I like to make it a bit ahead of time, let it cool a little, then brown the cut side of the slices before serving. You can eat it hot or at room temperature, and then let the weather dictate what you serve with it. Salmon loves red wine, so try something lighter-bodied like Château de Clapier Calligrappe ($12). If it’s warm out, put the wine in the fridge for 15 to 20 minutes to cool it just a little. Happy calendar spring to everyone, and here’s hoping it feels like actual spring soon. Grease a 4-1/2 x 8-1/2-inch loaf pan and preheat the oven to 350 degrees F. Heat 2 tablespoons of olive oil in a large skillet, and saute the onion, carrot, and celery with the salt and pepper for about 10 minutes until soft. Set aside to cool. Put the bread crumbs in a large bowl with the drained liquid from the regular canned salmon and the milk. (If you cooked your own salmon, add 2/3 cup milk total). Stir to mix. Let sit for a minute to soak the bread crumbs, then mix in the eggs, lemon juice, Worcestershire, and chili paste. Add the salmon, cooled vegetables, parsley, and chives and mix well. Pack into the greased loaf pan and bake for 45 minutes. The internal temperature should be 160 degrees F.
Let the loaf cool for about 10 minutes, then remove it from the pan – it should slide right out. Cut into eight slices. Heat another 2 tablespoons of olive oil in a nonstick skillet, and brown the cut sides of the slices. Serve hot, warm, or at room temperature.